Monday. 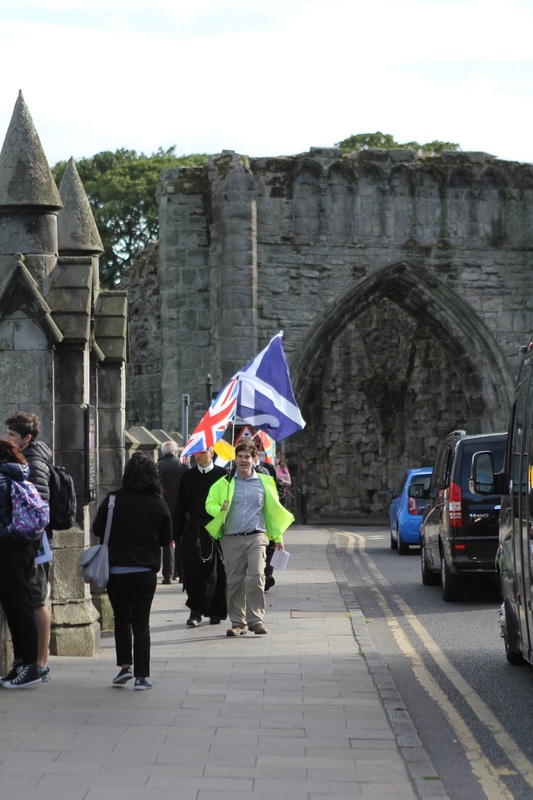 August 7 – Falkland Palace to St Andrew’s Cathedral, St Andrews. 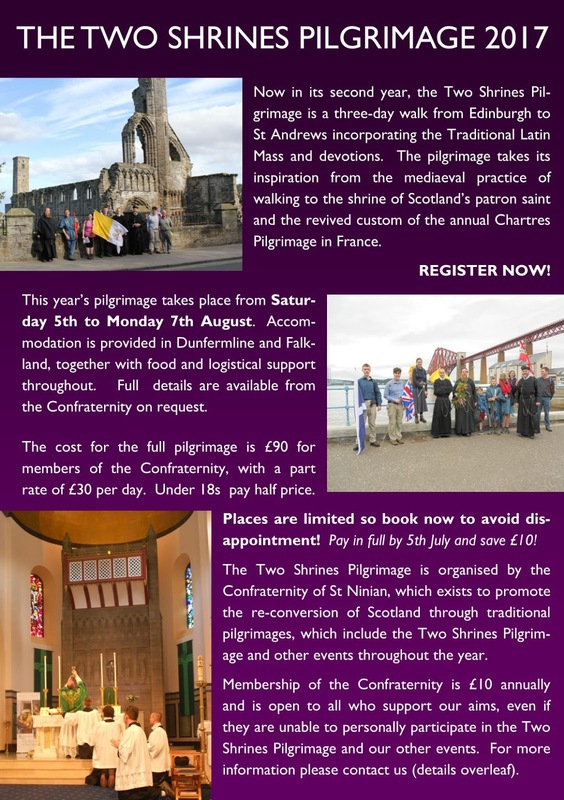 Members of the public are welcome to follow the pilgrimage and to attend its liturgies and other events. 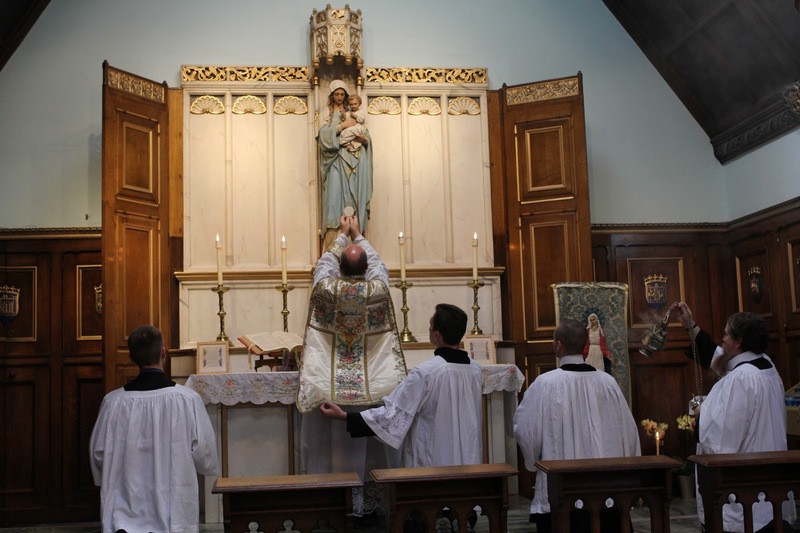 If you wish to be kept updated by e-mail please contact us using the address above. 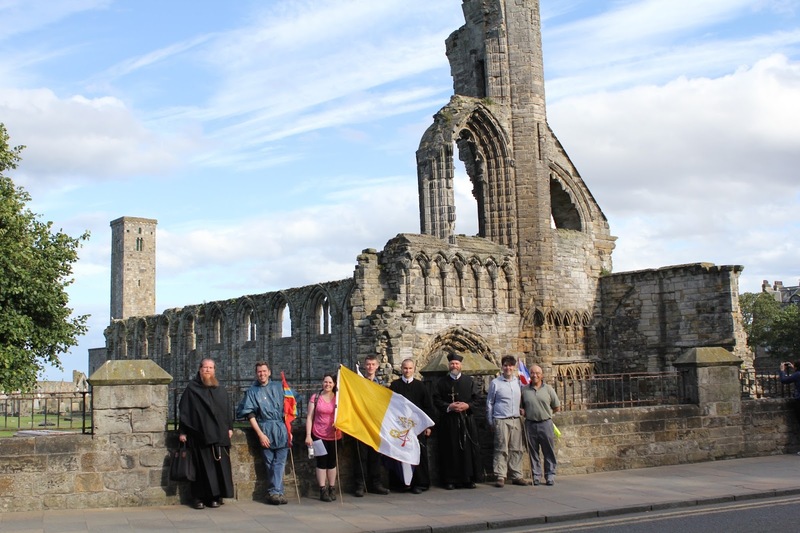 Those who cannot participate in walking the pilgrimage are advised that for the concluding Holy Mass in St Andrews on Monday, August 7, the organizers are hoping to arrange for that evening the first Solemn High Mass celebrated in the ruins of St Andrew’s Cathedral since the Reformation. Click here to see and download the application form for pilgrimage. 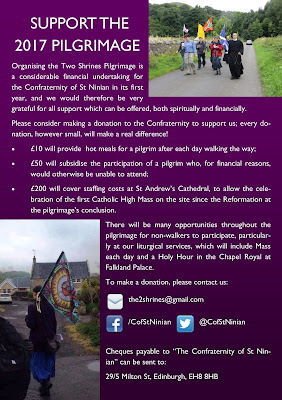 Click here to see and download the membership application for the Confraternity of St Ninian. 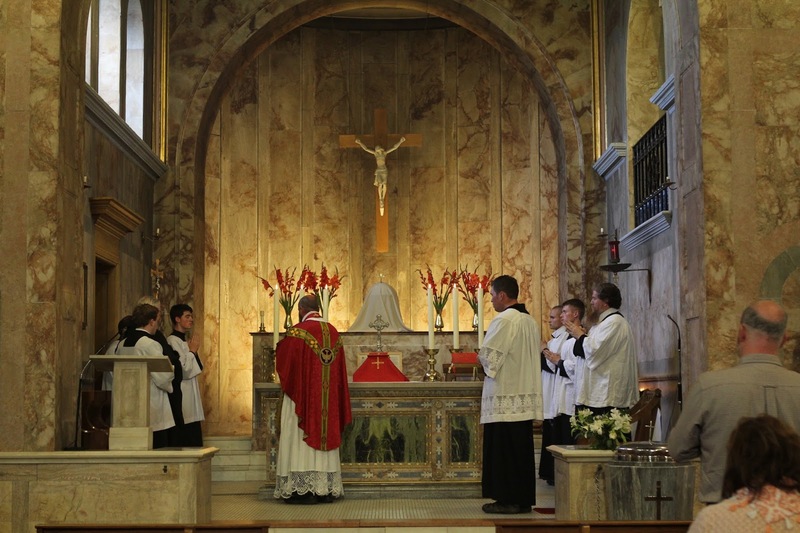 Some images from last year’s pilgrimage.